A couple of weeks ago, The Boy and I were lucky enough to be invited to sit on The Press Club Projects dinner. 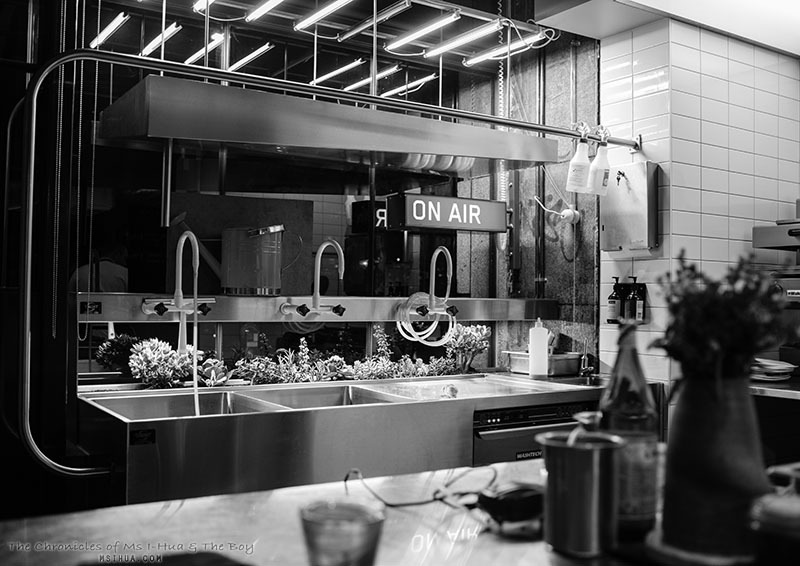 Press Club Projects is The Press Club’s creative space and test kitchen, where The Press Club team develop new dishes and play around with high tech scientific equipments. It’s hidden away on Flinders Street. 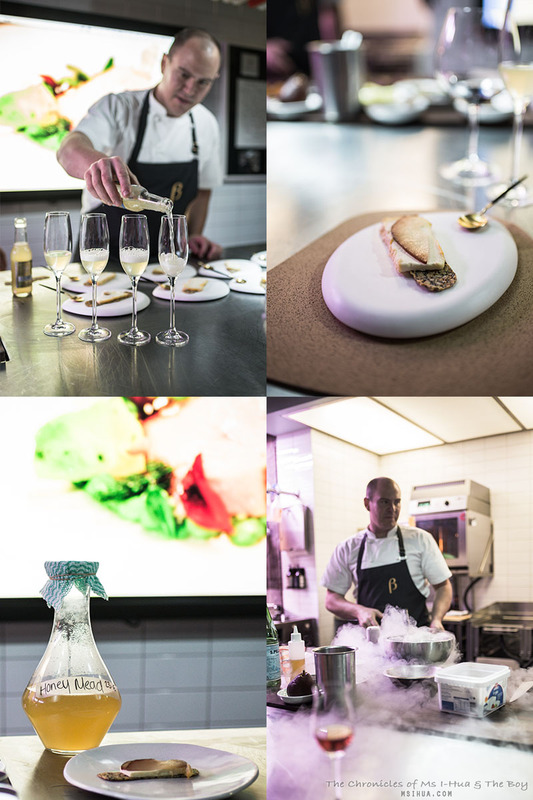 As well as being a test kitchen, they hold a series of special dinner events which the public can book into, usually only advertised on social media. 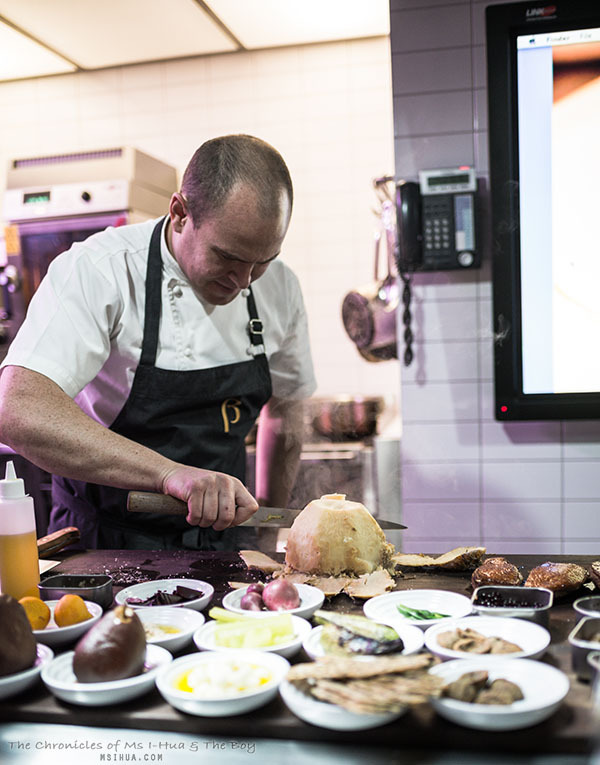 Each dinner is for just 8-10 people, hosted by The Press Club’s head chef, Luke Croston (and occasionally George Calombaris who needs no introduction). The night that we were there, it was an intimate 7 people crowd where we got to see the entire service (prep to plate) and converse directly with Chef Croston. 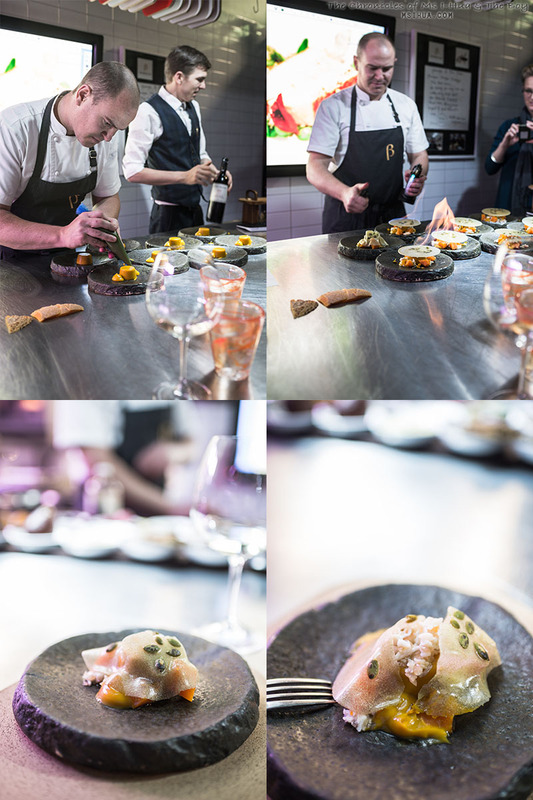 It was an amazing experience to watch the energy, creative brain and thought for each of the dishes that was served to us. A kind of “behind the scenes” of a fine dining establishment within their experimental and fun lab. Where is the Press Club Projects lab located? In a very obvious lab-like room right next to The Press Club restaurant. You just won’t pay any attention to it and may feel as if it is a store area of kitchen gadgets and machines. From the moment we walked in, The Boy was captivated by the many cool looking implements, particularly with the rotary evaporator thing-a-majig, which when prompted, Chef Croston immediately regaled the usage of the instrument as he recognised a fellow kitchen-geek. The reason we were there that night was to embrace the collaboration between Harper & Blohm and The Press Club. Harper and Blohm, which opened its doors in 2014 works solely to supply the community with fine cheese, working with small artisan producers throughout Australia, Europe and USA. The shop is owned by cheese expert Olivia Sutton, who carefully selects every single cheese that they sell in the shop. Watching her talk about each type of cheese, was like watching a proud mother talking about her favourite children and all of their best qualities and traits. Horiatiki is a Greek salad, and though the beautiful autumn vegetables played a secondary part on this dish, as it was truly a celebration of the cheese, we also couldn’t get over the fact that such a simple dish could be so complex and full of depth in flavour! What is cool about this cheese, is that it is sent to the cool caves of Casa Madaio in the Campania region of mainland Italy to mature for 4-6 months before being ready to eat. Now can you name me any other cheese you would have had recently that was brought up in a cave? I couldn’t help but be tickled silly with Olivia’s description of this cheese. If you look up the shape of this cheese, you will note that it is a flat pyramid (without the pointy top), and the story goes that Napoleon (yes the Bonaparte) returned to France after a defeat in Egypt, and noticed that this particular type of Valencay goats cheese reminded him too much of his lost. In anger, he swiped the top of the cheese and from that day henceforth, the Jacquain Tradition was made with a flat top. Now, we will never know if that story is true (or merely a good fireplace story), but we do know that it is super tasty. The Jacquin Tradition is a traditional unpasteurised goats milk cheese made in the province of Berry (central France) covered in wood ash, and has a nutty characteristic, pairing really well with the earthiness of the beetroot. 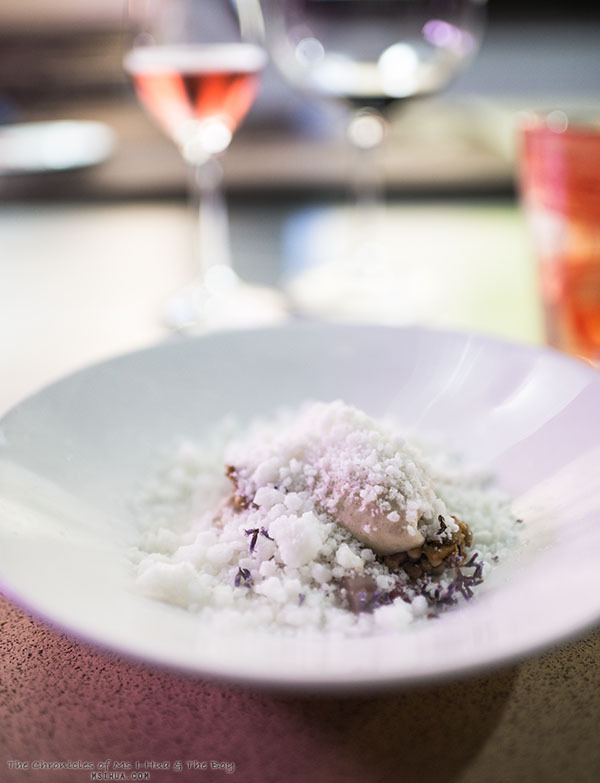 The surprise element of this dish by Chef Croston were the fun beetroot and egg white ‘caviars’. This was possibly my favourite dish of the night. It was everything you could have asked for. Texture, theatre, flavour, and cheese! The Mimolette is a direct replication of the popular Edam cheese, whom Louis XIV requested for. Coloured (and flavoured) with anatto, an orange-red natural food dye from the seeds of the Achiote tree, the Mimolette stands out. The top two pictures in the montage above, you will notice the hard rinds of the Mimolette. Crusty and full of holes. The rind is not edible and is pocked-marked by cheese mites to help with the flavouring. Indeed Olivia showed us that the ‘dust’ she gathered around her, had moved by the time the course was completed! I was so excited to hear about the Shropshire cheese (as Kimchi is from there). That was until Olivia told us that the cheese had never come from Shropshire, nor has it ever been made there. It is an identical cheese to the more commonly known Stilton Blue, with the addition of annatto, giving it the distinctive orange hue. It was a cheese created in the 70’s by an ex-Stilton maker who started his own dairy. 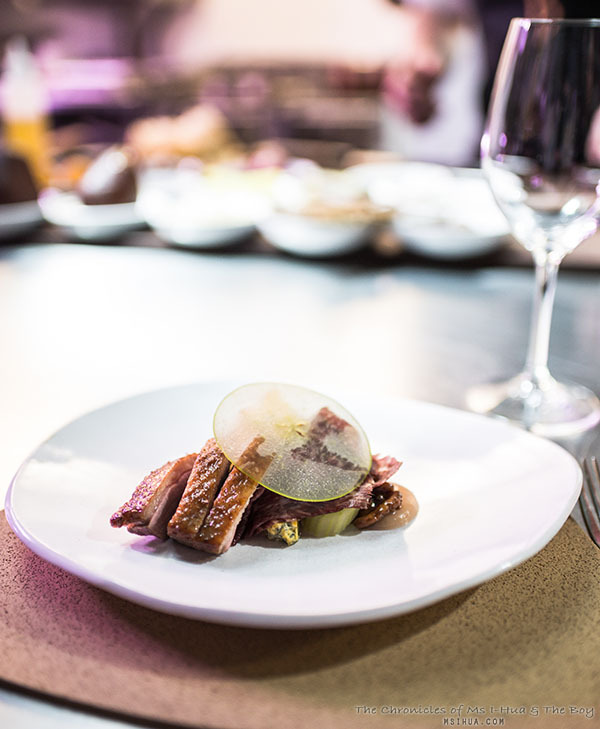 It paired really well with the Aylesbury free-range duck (and mine without the bresaola), apple and walnuts. Having front seats to the kitchen, we watched as Chef Croston battled hilariously with the stubborn salt baked celeriac. Even Aaron (the genius of drinks and all things liquid) was tasked with going back into the main The Press Club kitchen to find a cleaver to break the salt crust. When all hope seemed to be lost, Chef Croston won the epic battle of man vs salt and served up the most delicious baked celeriac I’ve ever tasted. It reminded me faintly of Asian chicken herbal soup, oddly enough. 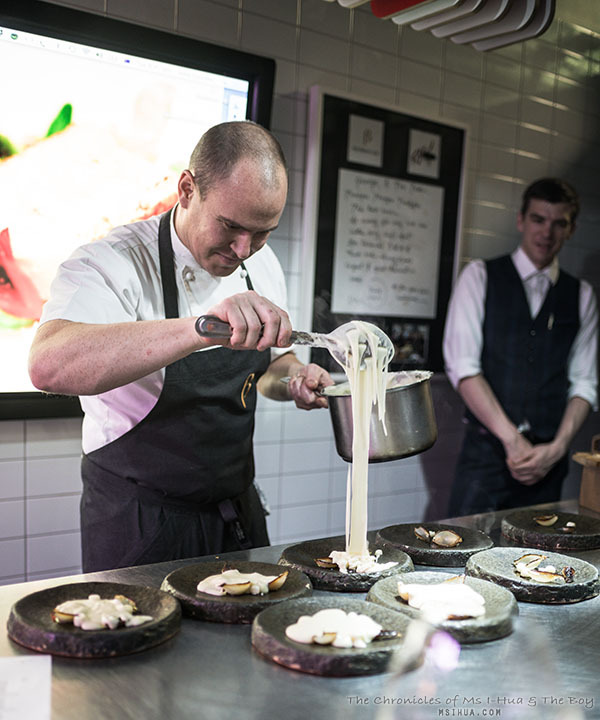 So much cheesy action as Chef Croston plated up cheesy mash on the dish. 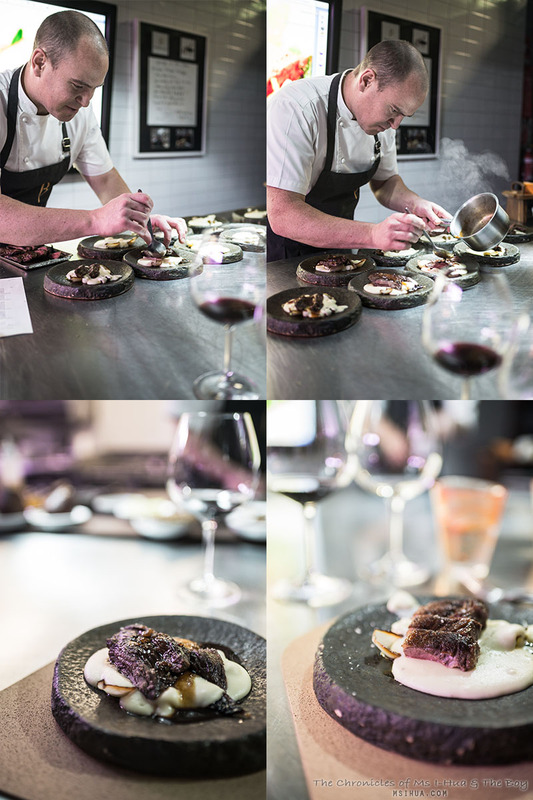 Instead of roast wagyu, my dish came with Flinders Island Lamb. So so tasty. The highlight of this course for us both was definitely the Honey Mead (sorry cheese!). We were served The Press Club’s very own bottled Honey Mead and it was perfection! Just in case you were interested, the Langres cheese is from France and is another cheese on this delectable list that is on the Appellation d’origine contrôlée (AOC) list, the other being the Jacquin Tradition (Valencay cheese). 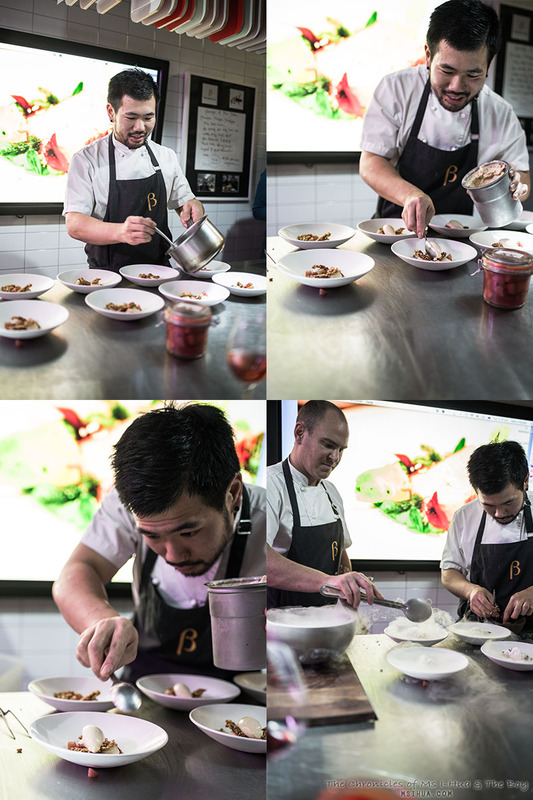 The last time we had anything on the AOC dish, it was an onion! As a surprise seventh course, we had a lovely chap (whose name I forgot to note) from The Press Club come and serve us. Chef Croston explained that The Press Club is very proactive in getting their apprentice chefs and chefs to create new dishes and to showcase them to actual customers. The poor guy was so nervous as this was his creation in front of paparazzi and his head chef! He did an amazing job and we loved every taste of his dessert. I particularly loved the juniper ice-cream and wished that I had a glass of gin to match the dish. All in all, we had an amazing night. Great company, great service and great food, drinks and cheese. There was nothing else we could have asked for. 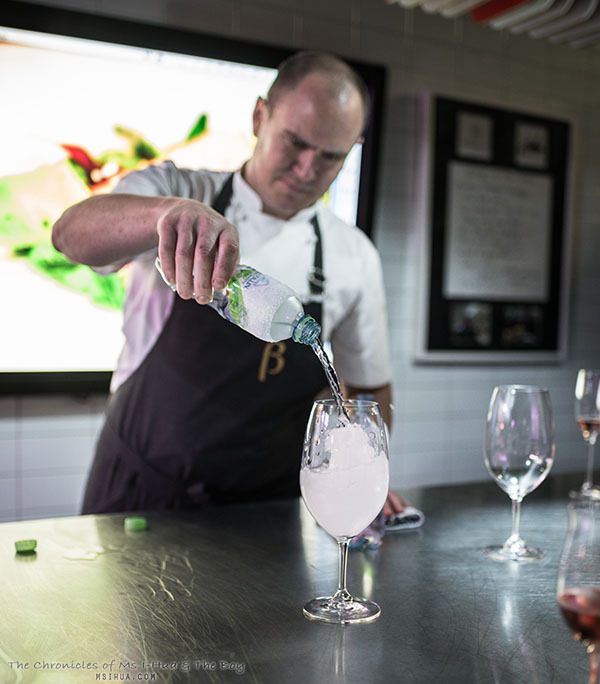 That was until Chef Croston decided to let us play with water. Yup! Extremely clean distilled water that turned icy-jelly-like due to an introduction of residue (impurity). It was so much fun! 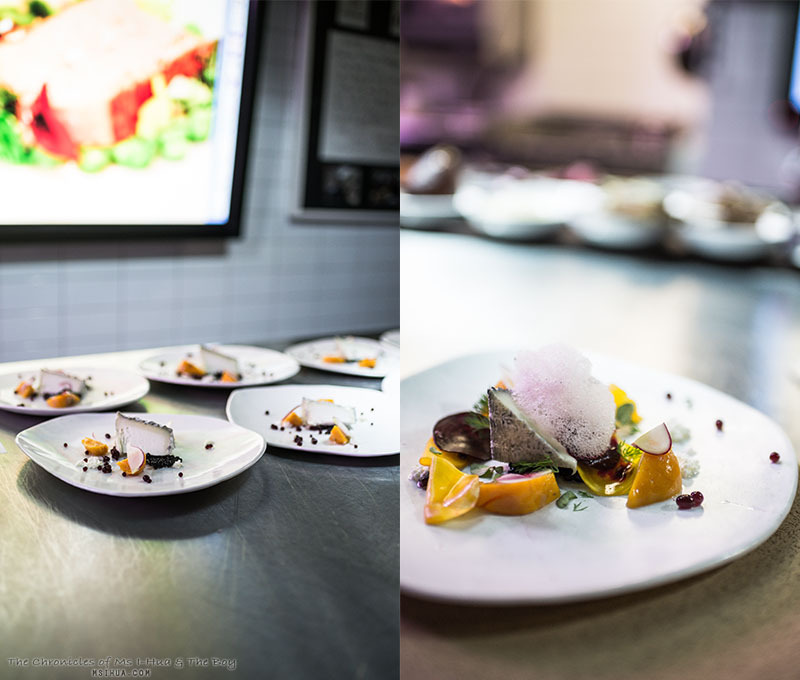 If you are interested in finding out about the next dinner at The Press Club Projects or would like to make a special group reservation, please call them directly (or visit their Facebook page to keep up to date!). This looks awesome! We did a cheese and wine tasting recently at Harper and Blohm and Prince Wine Store. Olivia was awesome and now we are massive Harper and Blohm fans! Gourmet Getaways recently posted…BBQ Style Beef Jerky Recipe & Giveaway! I see that you two are still getting out for some amazing dinners. Very cool platings on these, especially those on the rough-hewn black plates. 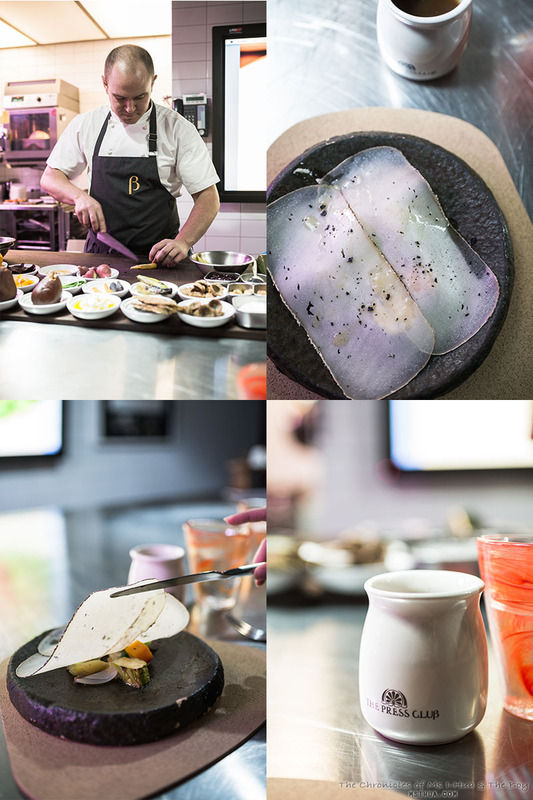 The thin slices of that first cheese look almost light purple or iridescent on those. Crazy about the cheese mite rind that walks away! What a gorgeous experience. That wold make for such a wonderful special occasion party. And all that cheese! I have had a few bits and pieces from harper & Blohm and have always been impressed. That cheesy mash has me swooning.